" Leizhan pulp machine includes: pulper, screening, refiner, cleaner, conveyor & agitator, thickener equipment. 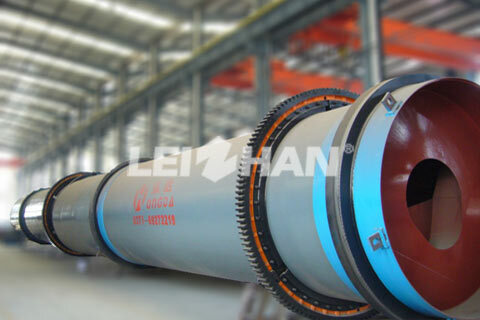 The pulp equipment has been exported to 128 countries, and Leizhan has a good reputation at home and abroad. " This type Drum Pulper is mainly used in the paper making industry to breaking continuously and coarse screening of the waste paper material under the high consistency. ZG Series Drum Pulper can maximum keep the physical property of the fiber. 1. Mainly used for continuous gentle pulping and coarse screening of waste paper under high consistency. Drum pulper can continuous pulp and preliminary screen, simple process. 2. It can gently pulp under 14%-18% high consistency to uttermost maintain the physical property of fiber. Drum pulper set pulping and coarse screening with a body and used for continuous pulping all kinds of waste paper( newspaper, industrial board paper, mixed waste paper, etc. ), and coarse screening the paper pulp after pulping, it is a reject treatment equipment. Drum pulper comprises three areas: pre-soaking area, high consistency pulping area and screening area. Firstly, waste paper is conveyed into pre-soaking area. After soaking, the waste paper enter into the high consistency pulping area for pulping under the consistency of 14% to 20%. With the rotation of the drum, the waste paper is took up by the lifting board on the inner wall, fall after rise to a certain height, and impact with the hard inner surface, so the waste paper in pulping area after repeated falls and strikes, under the mild pulping action of shear force and friction, was dissociated into single fiber, and the thin film, plastic, cloth and other impurities in the waste paper are not broken. Waste paper pulp after breaking will go along the dip Angle under the drum drive, from pulping area into the screening area; on the above of screening area equipped with a flush water pipe, the pulp will washed and diluted once entered the screening area. The pulp consistency will down to 3-4%. Now, the acceptable fiber through screen holes into the pulp chest, rough impurity is blocked by screen plate , stay in screening area and constantly elutriated, finally discharge from discharge mouth at the end of drum .